This letter is written in an attempt to tell you a little about myself, since I am your new teacher. In addition, it will give you a good idea about what the possibilities are for you in regards to instruction here in my studio. Finally, it addresses how you might make the most of your learning experience. My education includes a Bachelor of Music Education from Butler University and masters work from Butler and IU in literature, art and music. During the course of my career, I have taught music in public school and private study settings, performed extensively as a professional musician, lectured on music and the arts for activity professional certification courses and The Indiana Alzheimer’s Association, and created arts programming for the elderly in all elder settings. I have, as well, administrated and designed curricula for a children’s theatre, implemented a major Eli Lilly grant involving children and theatre, worked with children with special needs for Very Special Arts, produced, written and directed an educational television show for cable TV, directed various children’s and adult choirs, and acted and music-directed for community theatre. Since my college graduation, over 20 years ago, I have taught many students, ages 6 – 100, in a variety of subjects in music and the arts. I have, as well, performed over 6,000 professional musical performances for elders living in various settings. Finally, I’ve written (and often illustrated) many books for children, youths, young adults, adults and senior citizens in various genres, including: fiction, poetry, self-help, and home-study instruction. In many instances, I’ve created audio and video versions of my writings. To see these offerings, visit my websites: Music-Outreach.com, Abundantchange.com, and PlaySingNDream.com. 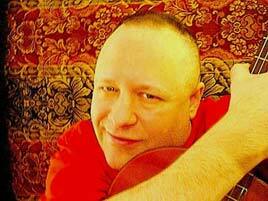 I instruct students in guitar, piano, voice, music composition, and music theory. I also incorporate life coaching, when appropriate. I enjoy sharing expertise and helping others to gain knowledge and fulfillment. I sometimes teach just one thing to a given student. Often, to meet a student’s goals, I craft a course of study which includes several things. I utilize my background, experience, and education (which includes teaching, literature, music, art and drama) to create a special individualized curriculum for each of my students. In short, I help persons of various ages get where they want to go… personally, creatively and professionally. If they are very young, my students come to me to begin their experience with the arts. If they are a young adult, they are often trying to sharpen their skills and break into a career in the arts where they will be performing on the stage, performing music, writing, or composing. (Sometimes it’s all of these!) If someone comes to me in middle or old age, it is often because they are on a sort of personal quest to express or fulfill themselves. They have reached a certain age and find that something is “missing.” Studying an instrument or the voice is often just the ticket to help them find that sense of personal fulfillment or expression they feel they are lacking. But also help me adjust that structure and your assignments (if needed) by communicating often about your progress, feelings, disappointments, and successes. If there is special music or a special assignment that you want to incorporate into your practice, let’s find it together. That way you will have special material which motivates you. This can be key in helping you to enjoy your study and keep up your momentum. Make practice a part of your daily life, even if some days you can only do a few minutes. Just as lunch, sleep, and teeth brushing are a part of your routine, so is practice! Daily practice, as opposed to intermittent practice, will help you to experience what I call “the music fairies.” If you practice each day, while you sleep at night, the music fairies will come and wave a magic wand over you. (This sounds goofy, but hear me out.) Then, when you practice the next day, all of a sudden that thing you have been struggling with will be magically better! (It’s sort of like the tooth fairy, only better!). Ok, that’s enough for now… Please take a look at the policies and schedule attached. I look forward to working with you.